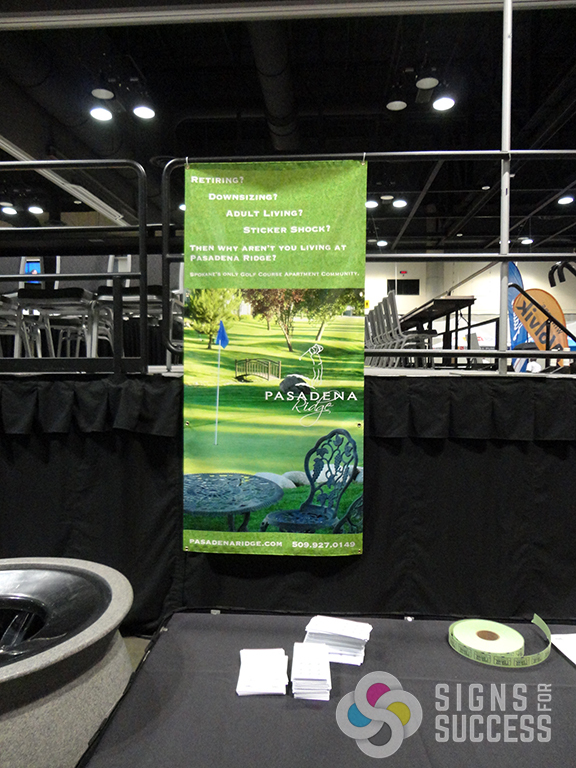 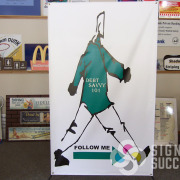 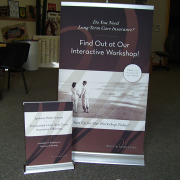 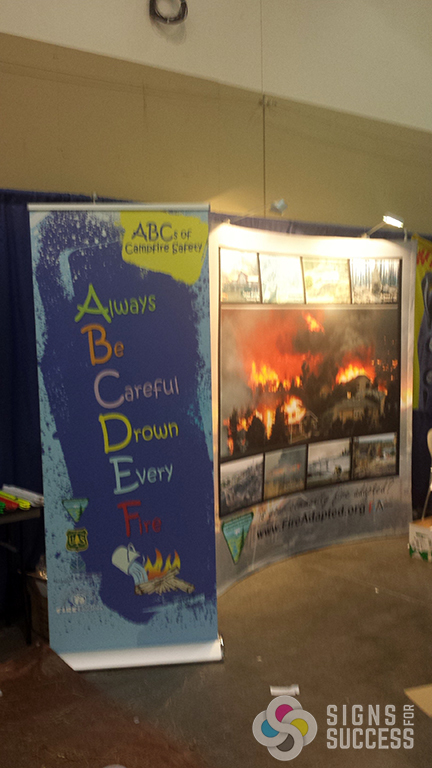 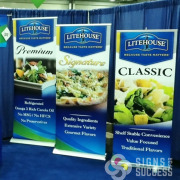 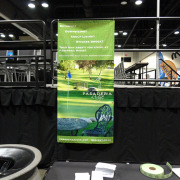 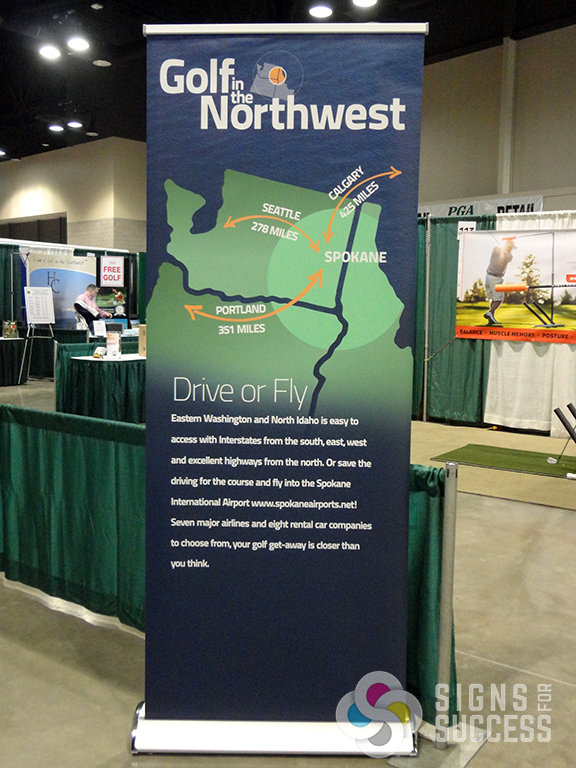 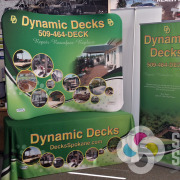 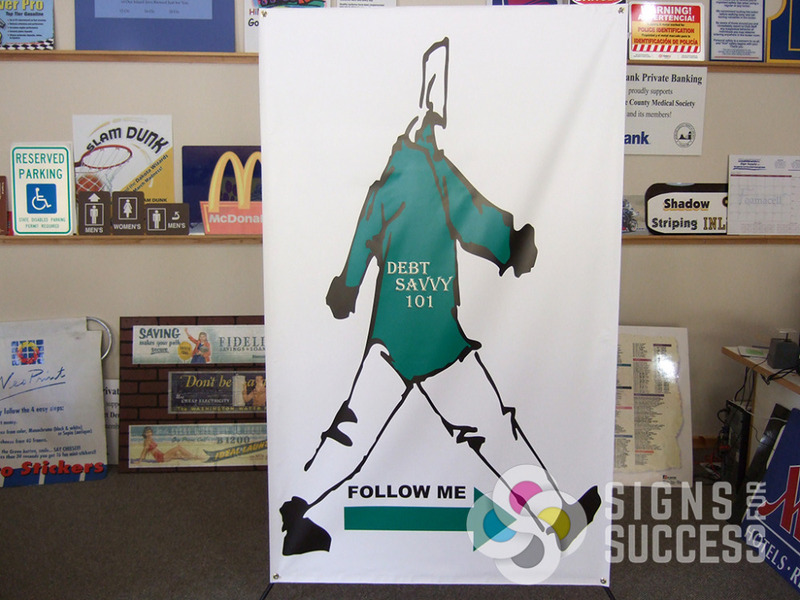 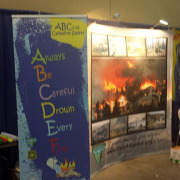 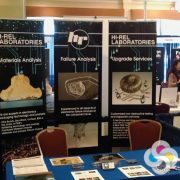 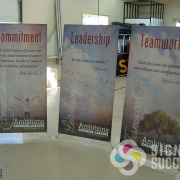 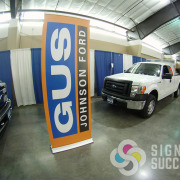 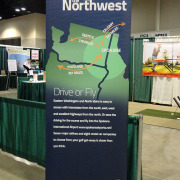 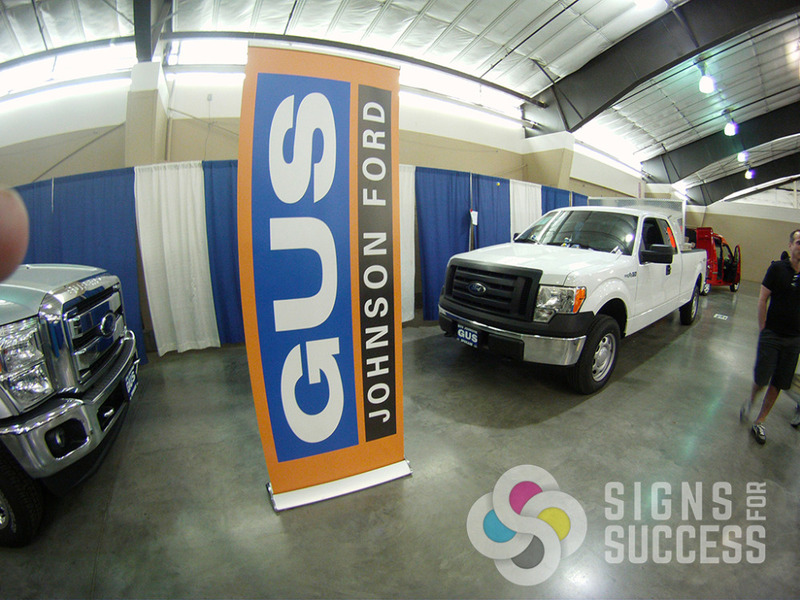 Custom Banner Stands offer a simple and portable way to increase your advertising space at tradeshows and other events. 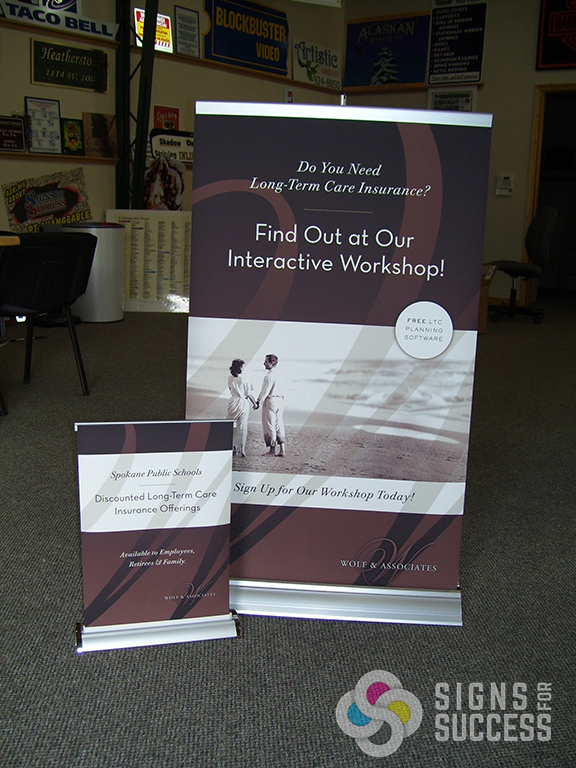 Banner stands come with custom printed graphics and a carrying bag for easy transport. 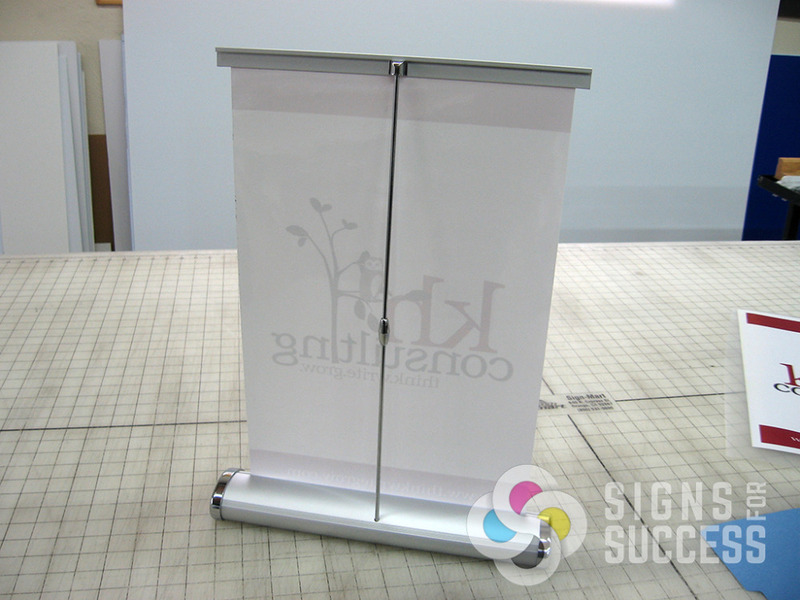 Adding lighting to your display takes your custom banner stand to the next level. 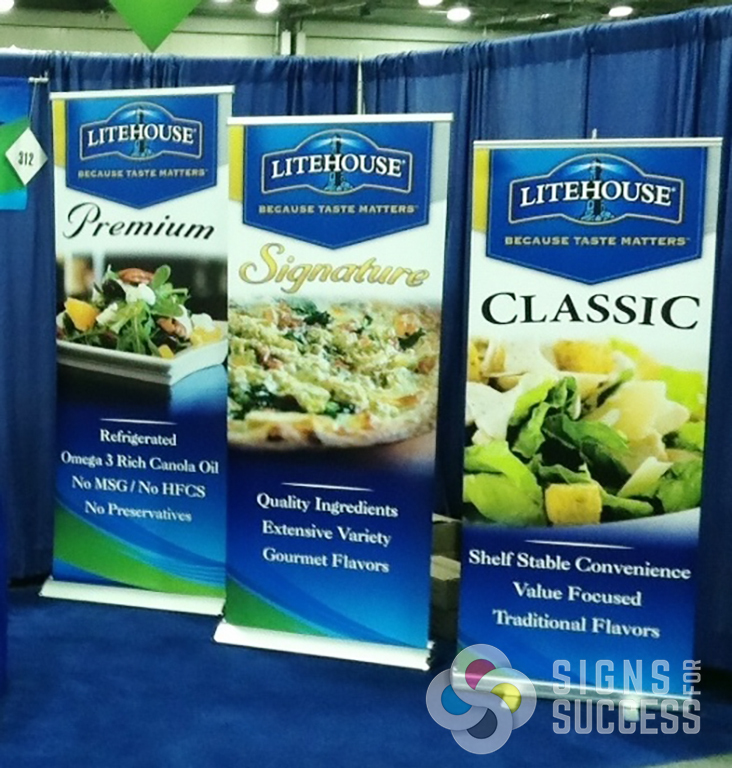 Retractable Banner Stands and Tension Pole Banner Stands make your tradeshow display more versatile – place them strategically to attract viewers or create a conversation starter. 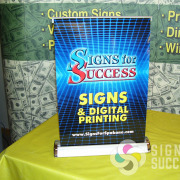 They may also be used in everyday situations such as advertising a new product or a special event. 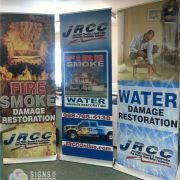 Banner stands are a great investment because they make a long lasting and versatile addition to any advertising campaign. 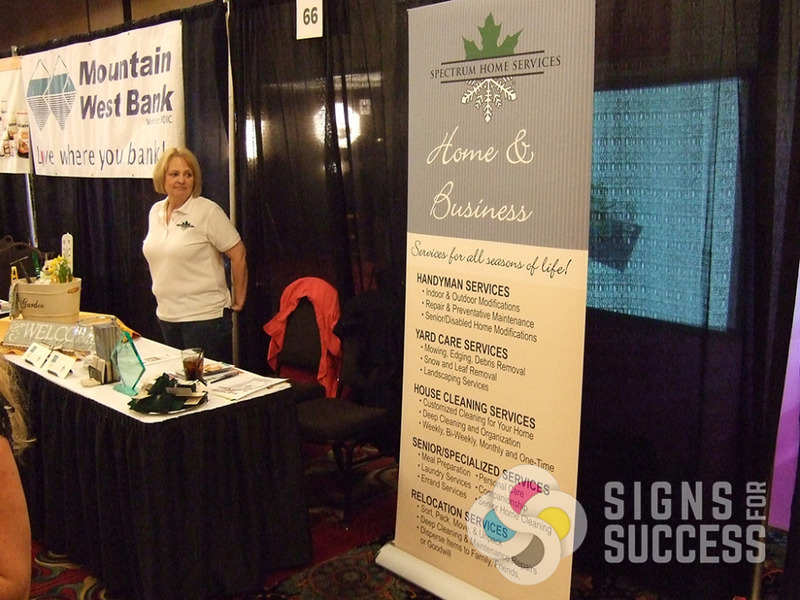 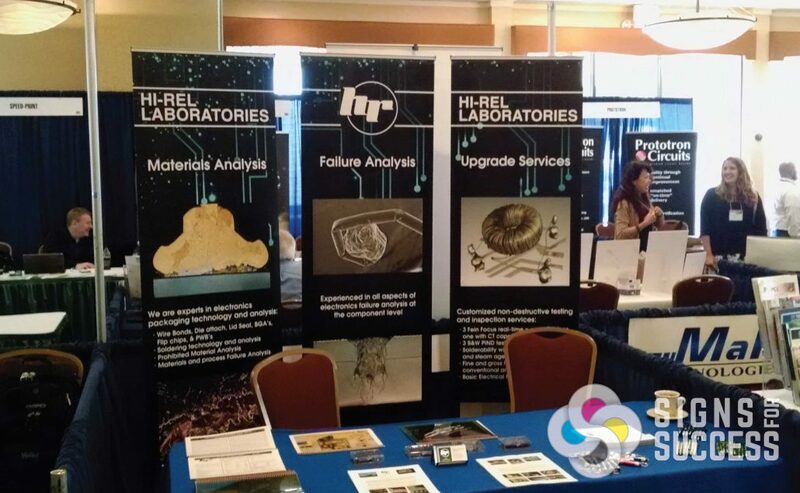 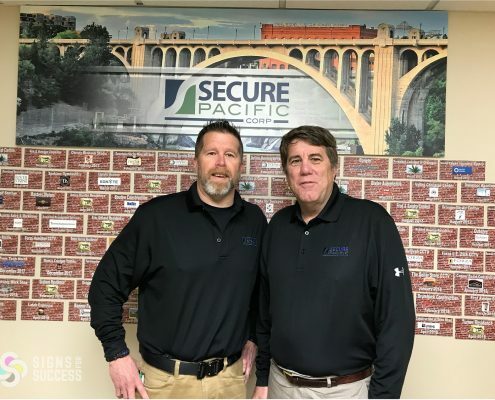 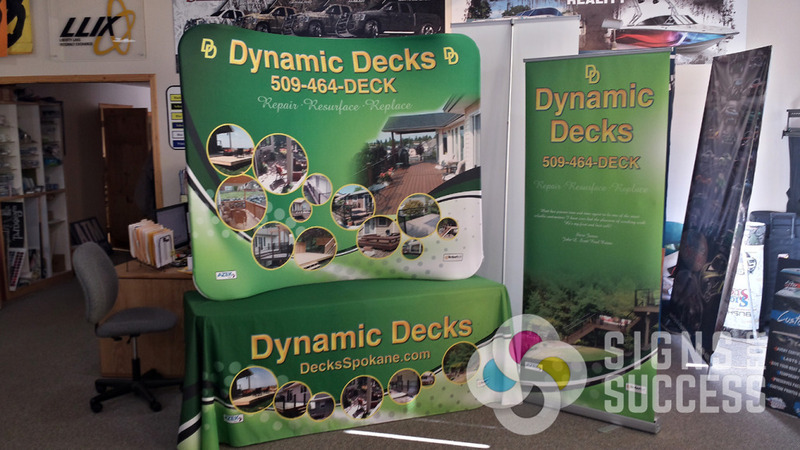 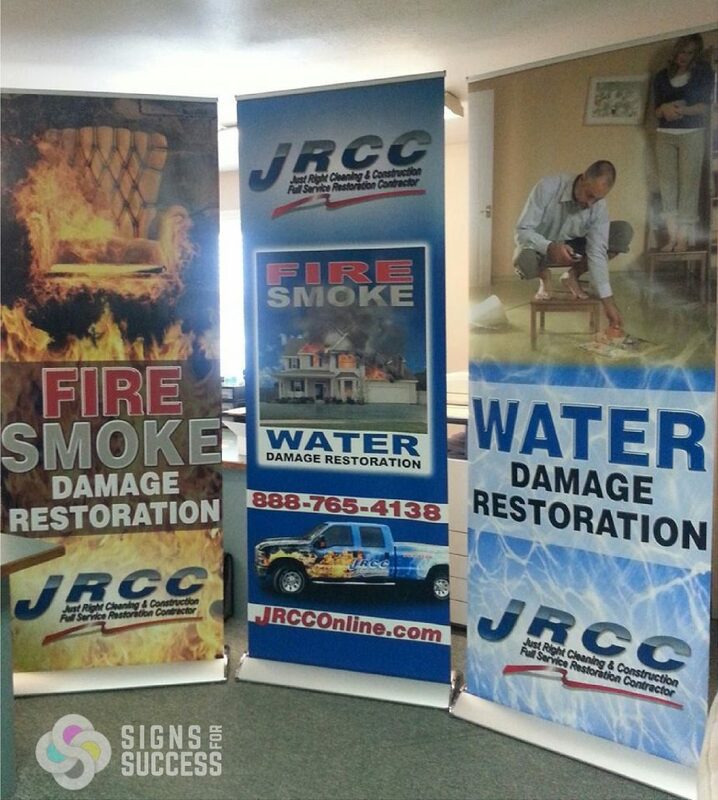 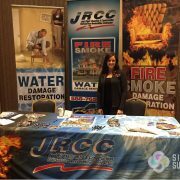 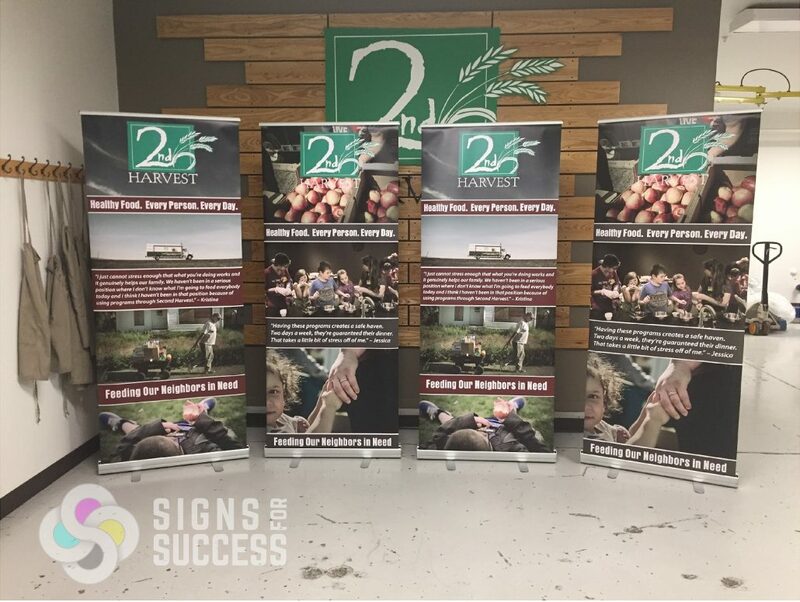 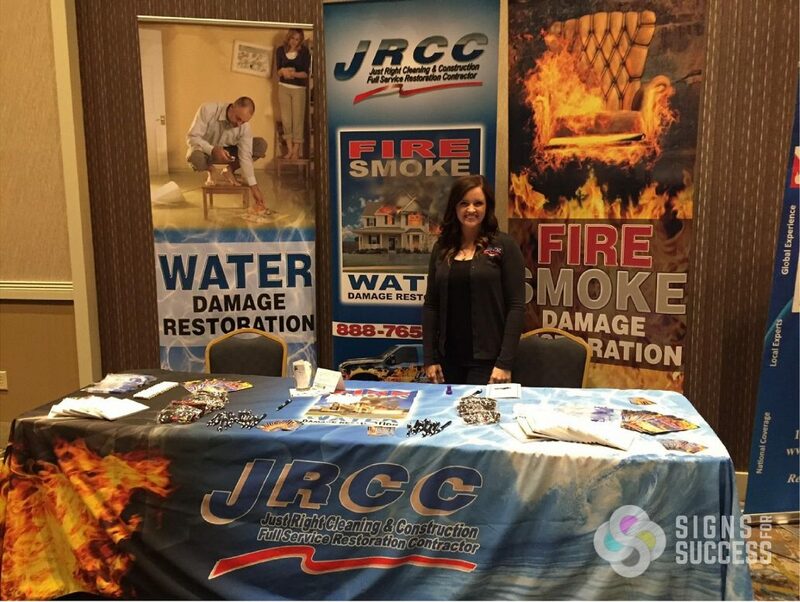 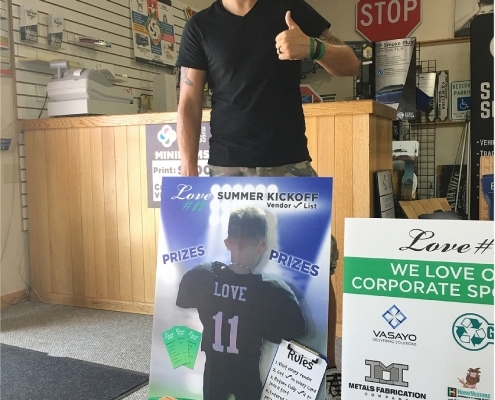 Retractable Banner Stands, or “roll up” banners, are great for tradeshows because they offer a large graphic area (2 or 3 feet wide and varying heights) that can be stored and transferred easily. 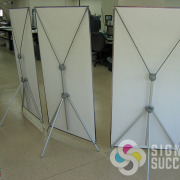 They set up quickly, and are light and compact enough to pack and travel with. 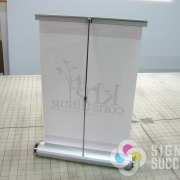 The “hidden” bonus is that because the printed graphics are housed inside the base, artwork is protected during transport and periods of storage. 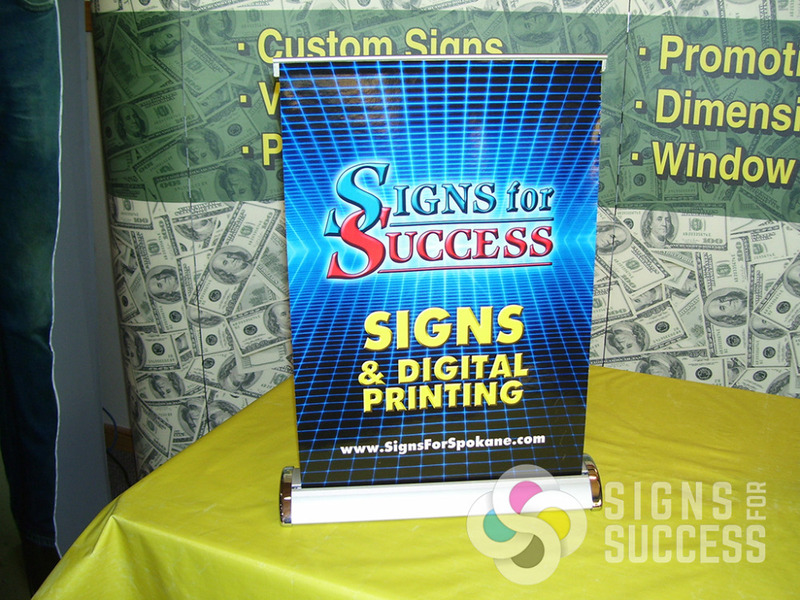 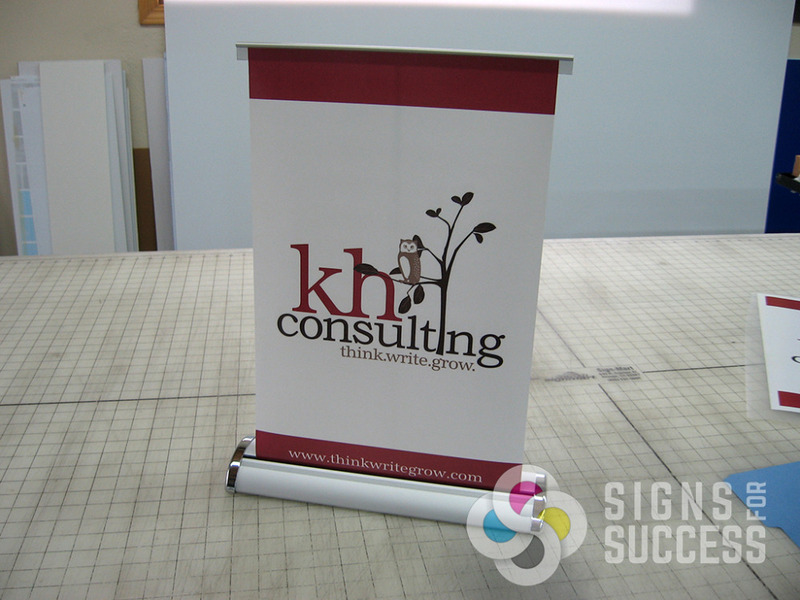 Mini retractable banner stands are also available for tabletop settings. 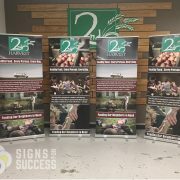 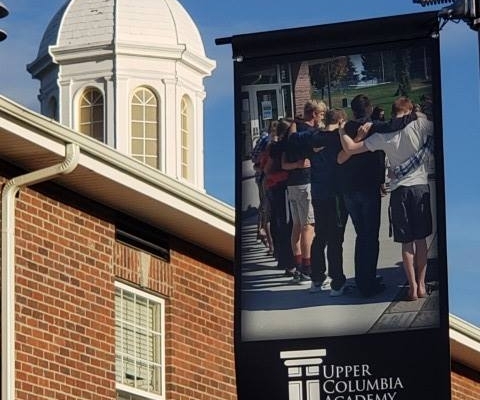 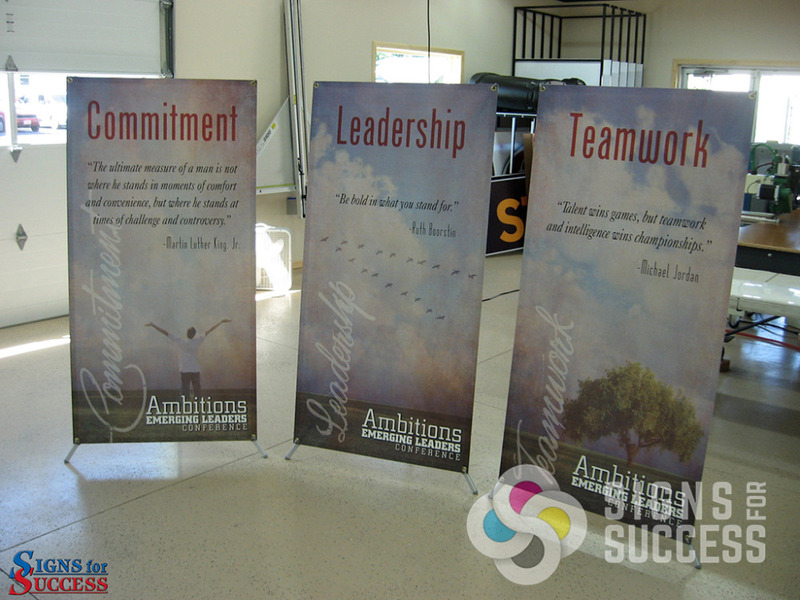 Tension Pole Banner Stands can hold a larger banner size (up to 4 feet wide) and are more cost-effective since they have less parts. 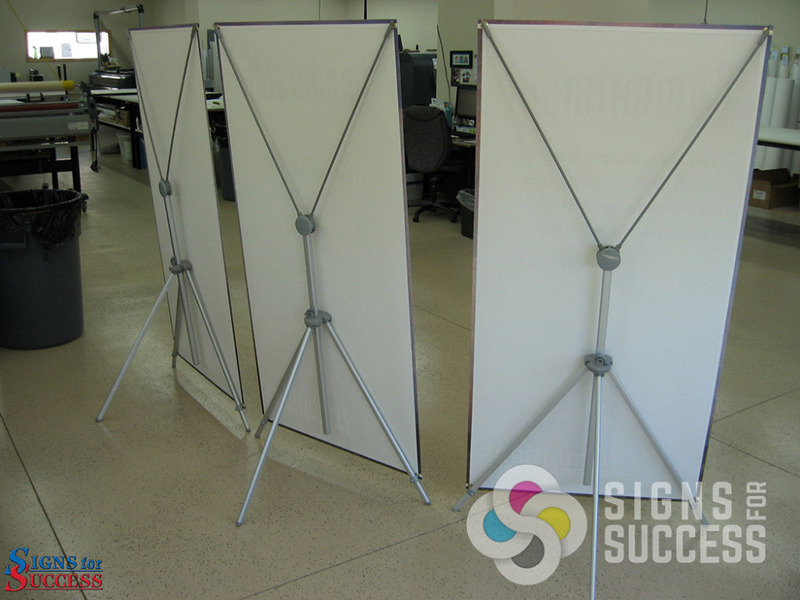 The stand folds up, and banner and stand are stored separately. 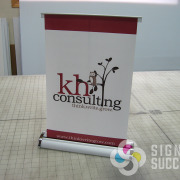 This type of banner stand is also great for travel with compact storage and easy setup. 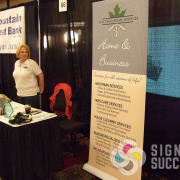 Roxie Lowther, Director of Marketing MediaLitehouse Inc.